Check out The Boyce L Ansley School in the News! Several years ago, a small group of St Luke’s parishioners became concerned with the growing number of children coming through Crossroads Community Ministries with their parents who were seeking homeless services. In response, we began a one morning per week Parent’s Morning Out Program (Crossroads Kids). The goal of Crossroads Kids was to offer reliable childcare to the families of Crossroads, giving them one morning per week to go to the DMV or schedule a job interview without having to worry about who would care for their children. To much dismay, most of the children who came to the one day per week, morning program were school-aged. As the group began to look deeper into this situation, they found that many parents who are dealing with the trauma of homelessness find getting their children into school an overwhelming task. Dealing with paperwork and documentation and moving from school to school causes some parents to settle for having their children simply take a break from formal education while they get their situation more stable. In the process, these children fall further and further behind. After researching the feasibility of this project, in 2016, the small group began the bold task of creating a tuition free privately funded school for children who have experienced homelessness. 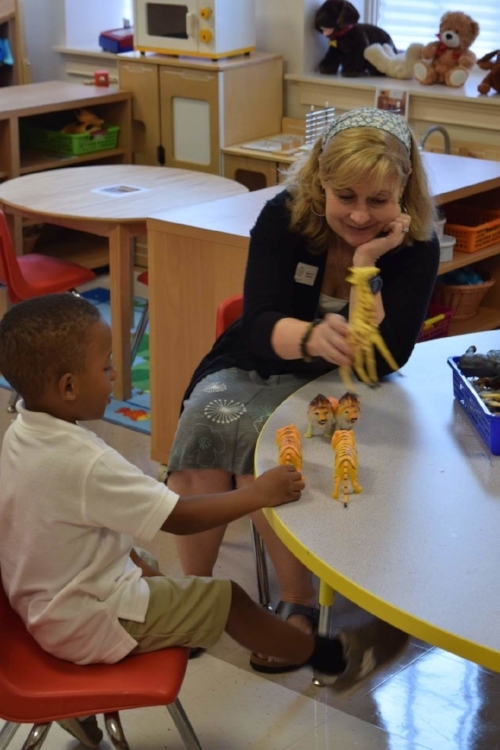 The Boyce L. Ansley School opened its doors August 1 of 2018 on the ground floor of St Luke’s Episcopal Church located in the heart of Atlanta with one pre-k class of 11 children. The students are thriving, and their parents are so thankful for the opportunity given to their children. The school plans to add one grade per year in a bold effort to help these children live beyond their circumstance and write a story of success!